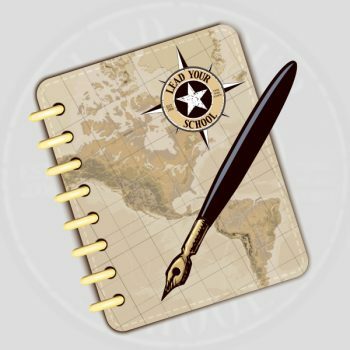 Here at Lead Your School, we love instruction and we [email protected]#%&*! hate cancer. This love/hate dynamic manifests itself with our annual March For A Cure Challenge. During March, for every completed PowerWalks Classroom Observation, we donate 5¢ to cancer research. It may not sound like much, but thanks to all the PowerWalk campuses across the nation, the donation grows quickly. But not quick enough! Did I mention we hate cancer? This year we’re kicking it up to another level! 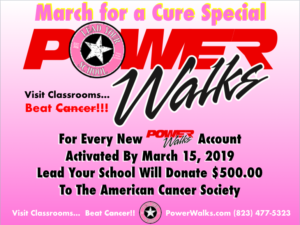 For every new campus that activates its PowerWalks account by March 15, 2019, Lead Your School will add an additional $500.00 to our March For A Cure donation to the American Cancer Society. Give LYS a call at (832) 477-5323 or email us at [email protected] to join the growing PowerWalks team.